I am a Shaklee mom. I am a stay at home mom. I am a wife. I am…. wait what happened to the me before all of this happened? I was fiercely independent, traveling and living in Europe and Africa on my own, taking chances, always looking for a new adventure, a new challenge and just saying yes to opportunity. Now I am at home most of the days, mostly all of the day with a little girl who needs predictability and all of my attention and love. Did I take on too much? Do I have what it takes? — These are the fears and doubts of this honest confession of a stay at home mom who is building her Shaklee business. I want to be honest about building your business from home with a baby. At least, how things have been for me in my first year as a entrepreneur and a mom. 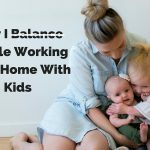 You have likely heard of all of the benefits of of being a work at home mom, (WAHM), but that is not what you will get here. Right now, I want to talk about the challenges because I was just on the verge of an emotional mess and maybe I can spare you the same. The very least. I hope I can at least let you know you are not alone. October 2015, two months after my daughter was born I left the job I had for five years where I was not fulfilled and had little opportunity for growth. I made the decision because I wanted to be by my daughters side as she grew up, an opportunity that my own mother did not have when I was little. 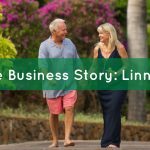 Not only did I decide to leave my job, but I decided to start my own business with Shaklee from home. I knew it was going to be Shaklee because I had seen improvements to my arthritis with Shaklee products, had a very healthy baby on Shaklee prenatals and my husband grew up with the company and had his own health transformations-his mom is a very successful Shaklee distributor for over 30 years. Shaklee has been a great fit for us in many ways. I can help people feel better, build their own business and afford the luxury of being at home while making real money that has an impact on their bottom line. It has been all of these things but there have also been some challenges. Why? Well… unless you haven’t heard, being a mom is a tough job. In the early stages, it was easier to try and get work done and as she grew and gained more skills it has become more challenging to find time to myself. I tried a variety of techniques to stay up with my growing business. I read books on how to be more productive, kept inspirational quotes and messages around, tried waking up at 4 AM to work before the baby woke up (surprisingly I found she woke up when I woke up) and then tried to stay up past her 7 PM bedtime to do work when that didn’t pan out. I started to feel guilty or lazy that I could not do it all. There are Shaklee moms out there with three or more kids who are very active with there business, what was I missing? I started to doubt myself as a mom and as a business owner. It should be noted that at the beginning of my journey my husband was working in an office with a predictable schedule but he wasn’t happy. He also wanted to work for himself. In June of 2016, when our daughter was 10 months old, he decided to take the leap, left his job and started his own SEO consulting business and partner with me on Shaklee. We are so thrilled we made this happen but as we go through the cycle of entrepreneurialism, we find some months are amazing and surpass or expectations and some well… arn’t. Through hard work and a great stand in the SEO community, he had a very small client-base lined up which made our leap easier, but I started to amass pressure on myself to do better with my business and grow faster. (*My husband has not put any pressure on me with the business but well… I like to succeed.) What did happen when he left his job though, was he needed to work more hours sometimes and so that meant for me, more unsupported hours with the baby. This meant, less time for me and less time to focus on my business. Flash forward to now, my daughter is thirteen months old and climbs things and move things so she could climb more dangerous things. She has dropped her naps, or as my pediatrician said, “She is on a nap strike”. Well what that meant to me is that those precious unpredictable 2-4 hour during my day time were gone… or at least temporarily. Those naps for me often meant a shower, some laundry, lunch, check emails or writing. Nap time was where I could reenergize. With that time gone, I quickly started to drain my tank. I started making bad food choices, I become more irritable with my daughter, my husband, my dog. Seven days a week, all day. Just me. Just me and the baby. I obviously love her very, very much but I stopped loving myself. It got to the point where I didn’t know how to love and support my own family because I was so low. But wait.. my business. When was this going to fit in? I could feel the tension building up. I went for a drive and decided to stop at the new biscuit place because well… I was trying to help myself feel better with food… even though I wasn’t hungry. (Don’t judge… I know you have been there). I go in, place an order and when the total came, I felt overcharged. 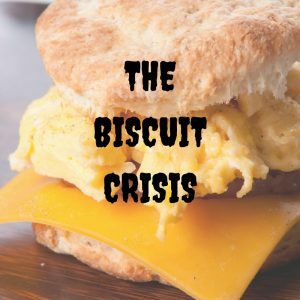 $9 for a biscuit sandwich? I tried to make sense of the price and explain to the lady the error, meanwhile there were other customers and the baby was kicking me and fussing as I held her because she wanted to run around the place and I wouldn’t let her. The lady finally said sorry and gave me all my money back. I would have been fine with just three dollars, but I just wanted to make sense of how things got so pricey. I put the fussing baby into the car and just broke down. Tears and tears.. like those deep ones that you know were going to come if someone asks you at just the right time, “How are you doing?”, when they know you were upset. After this I knew it was time. I needed relief from my day to day and I needed it quickly. In this emergency my husband took on baby duty for the day so I could go have some time to collect myself and refocus. (If you are reading this, thanks husband. I do love you). The one day didn’t cure me but it did take the edge off. What came out of that day is a commitment to ask for and receive help watching our daughter. I realized to be a good mom, to be a good business builder, a good wife and friend, I had to first be good to me. I knew this before, but I really started to feel the effects of not doing it. 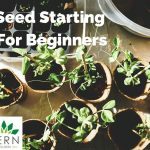 Early motherhood is hard and so is starting a business. You will have good moments and bad moments. Just acknowledging that. It does not mean that it cannot be done, because it can. I am doing it, although at a different pace than I thought I could when I got started. Make sure to carve out time for you. If you do not, you will not thrive but will likely end up where I found myself. And if you do find yourself there, like many mothers have, take the time you need. Plan for more time on a regular basis and pick it back up. Shaklee is always there for you and the only pressure to grow and succeed are your own. You decide when you work and how you work. It has also given me the ability to feel good about meeting more people who I can help feel better, live there dreams of leaving their jobs, a continued paycheck amongst my chaos and the chance to be home with my daughter. The Shaklee mother community is also a great resource to help with suggestions, some light humor or just a shoulder to lean on. After all they have been there too. Sometimes we have to surrender to time as mothers. Some months of a child’s development require more attention than others. There will be a time when unfortunately, our kids may not want to be so close to us and we will miss this. What we can do is try to put in our best efforts as mothers and business builders and then step back and give permission to let the universe take it from there. What I have found is that when I do this and truly surrender, albeit sometimes messy this is when I find the miracle happen. So stay tight, stay the course and be patient. Mom’s get overwhelmed. Taking care of a child is a big job in itself. Be realistic about what you can do and when you can do it. Sometimes we just have to realize what the right pace is for ourselves so we can give to what matters most, your family. Mom’s out there, what do you do to help balance it all? Whatever it is, just know.. you are enough and #treatyoself to fill back up.